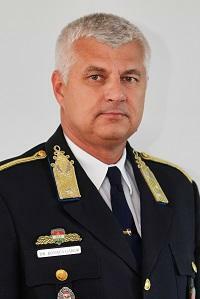 Brigadier General Kovács has been Vice-Rector for Education and Head of the Institute of Public Law Enforcement and Applied Management Theory at the National University of Public Service since 2012. He habilitated in 2008. He has been teaching on all levels of higher education (BA, MA and PhD) since 1989. He is a correspondent member of the public body of the Hungarian Academy of Sciences and a founding member of the Executive Committee of the Hungarian Association of Police Sciences. He spent 18 months in Ankara, Turkey as a Long Time Resident Advisor dealing with Integrated Border Management, funded by the EU Twinning project in 2010. Office: H-1083 Budapest, Ludovika sqr. 2., Ludovika Main Building Room 118. The areas of science covered by the Institute are: police science; psychology; sociology; jurisprudence and law enforcement management. Since its foundation in 2013, the Institute has coordinated and developed a new training structure and curriculum content, both consisting of interdependent elements. The Institute is actively involved in conducting training and examinations at a variety of law enforcement agencies and organises a wide range of scientific and professional conferences. The Institute holds extensive useful relationships. It cooperates with experts and psychologists from relevant public organisations, the National Tax and Customs Administration, the National Police Headquarters, the Forensic Psychiatric Mental Institution, the Semmelweis University, the Faculty of Pedagogy and Psychology of the ELTE University and the Ministry of Defence. The Department of Law Enforcement Management Theory delivers subjects related to general law enforcement and law enforcement management as well as organisational theory. It performs teaching and research tasks in law enforcement management, organisational theory, and the related disciplines, and supports and helps students’ scientific activities. The Department is responsible for teaching the “Management Theory” at all Faculties of the University as a core course in our “comprehensive module”. Upon request from stakeholder organisations, the teachers of the Department regularly take part in training, research, and professional consultations related to issues in management and organisational theory and also regularly publish scientific studies. Our lecturers have also taken part in leadership training courses organised for commissioned officers of the Police, Disaster Management, and the Prison Service. Some of the teachers are co-authors of the textbook Top-Level Management at Law Enforcement Agencies. The Department of Applied Law Enforcement Science was established in 2012. It is the largest organisational unit of the Faculty; its fifteen teachers deliver twenty-eight subjects. Among the teachers there are two university professors, one habilitated professor and five university and college associate professors. The others are conducting PhD studies. The profile of the Department is that it teaches subjects related to law enforcement. Research conducted by its staff is also connected to this field, especially concerning the investigation of the Theory of Law Enforcement.